The actuator’s unique design features a small and fixed dispensing arm to improve stability and ease of use for professionals as well as for consumers using a home care treatment. The solution has been a smash success in a number of global markets to date, in particular the Middle East where the system has been readily adopted by several important firms. Apart from ear and topical treatments, the actuators are perfectly applicable to medicated throat treatments as well as to targeted hair care. The revolutionary actuator is composed of PP and PE materials complying with FDA pharma grade standards. It can be set to release a clean 180µl dose, with a very high level of dosage tolerance. Its screw on neck facilitates incorporation into existing filling lines. BONA Pharma introduces a new oral sprayer, the J# actuator, that is suitable for throat and mouth medicine spray delivery. 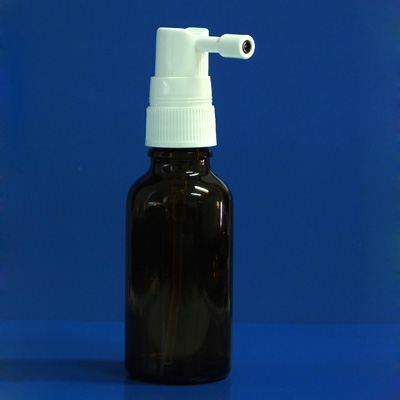 Comprised of PP, PE and stainless steel material, the oral sprayer packaging is compatible with and safe for both food and pharmaceutical usage.